Below is our archive of articles with the latest arrivals located at the top. 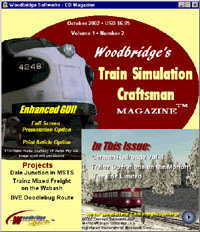 Many of these articles were originally published in Woodbridge's Train Simulation Craftsman magazineTM. We have provided the specific issue information when appropriate. If you are interested in contributing to our collection of articles, please review our author guidelines for details. It is located in our message board. 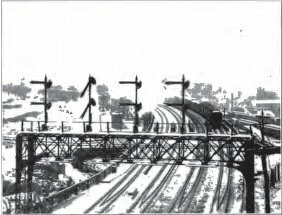 Any railroad related topic is welcome. If you have any questions whether your idea would be useful to us, please contact us. 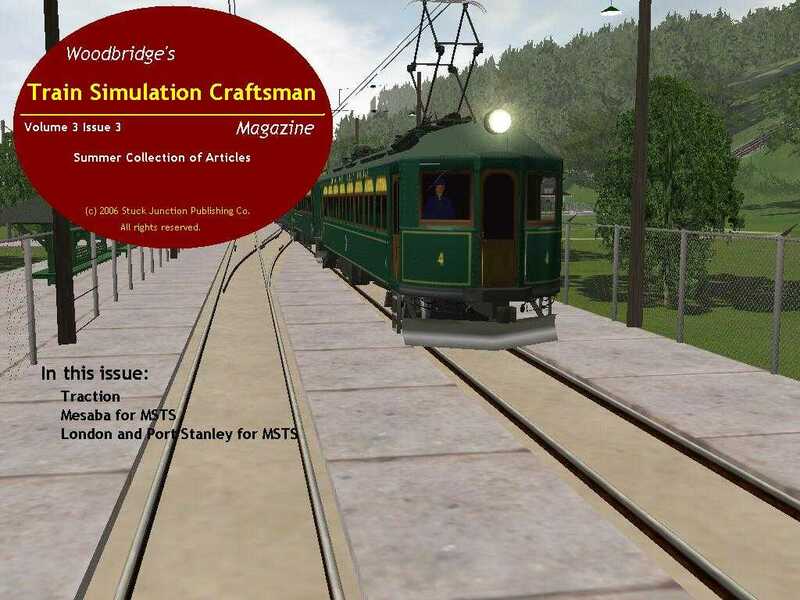 My friendship with Al Barten goes back to 2002 right after I released the inaugural issue of Woodbridge's Train Simulation Craftsman magazineTM. 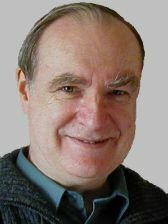 Al was Editor in Chief of TSC, a member of its Editorial Board, and a Contributing Editor. We worked with several other individuals over the Internet to publish this quarterly CD-based magazine. 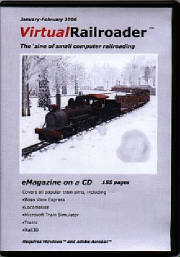 It was the first publication dedicated to covering the (at the time) new hobby of train simulation. We spent countless hours producing each issue of the magazine and just as much time swapping emails discussing all aspects of the publishing business and TSC's future. 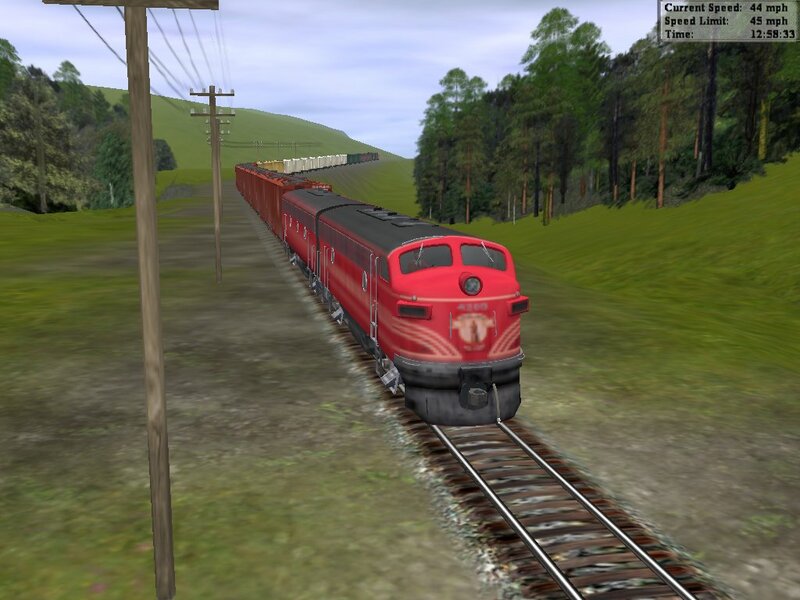 These were exciting times at Woodbridge Softworks and Al was a valued business partner as we explored new ground in virtual railroading and online publishing. 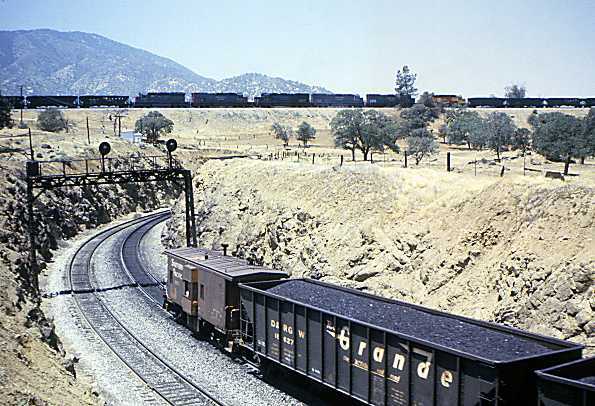 Al now publishes the Virtual Railroader e-zine/Reading Room, and at the beginning of this year he started his V-Scaler syndicated column. Having demoed Trainz at a number of train shows and rail museums, I've noticed that a good number of the kids trying their hand at the controls are too young to appreciate or take advantage of the enormous capability offered by the full version of Trainz - any version till now. These younger kids are delighted to see the train go, usually the faster the better, and they love the sounds. Sitting in the cab is their favorite view, where the sounds are stronger and the experience more visceral. [Full Article] Oct 25. 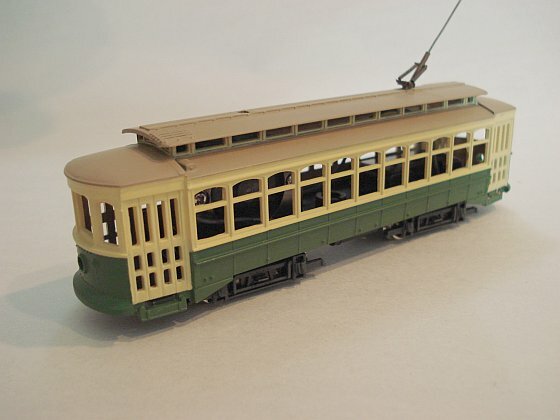 For a small niche in the model railroading hobby, transit modeling has a wide range of prototypes and modeling practices. [Full Article] Aug 19. 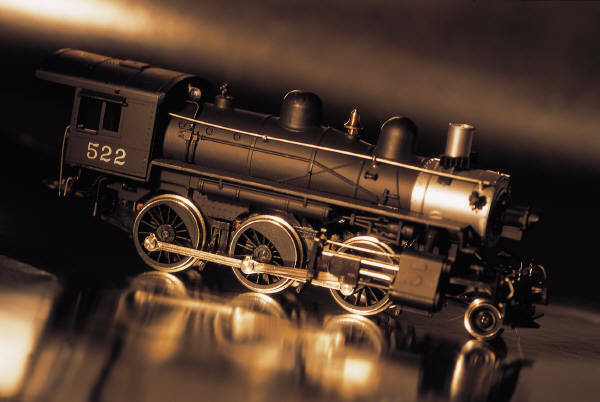 In case you're wondering about the future of the model railroading hobby, you could have learned a lot by being a fly on the wall at our booth last January at the Amherst Railway Society's annual train show in West Springfield, MA. Our single table had onlookers three and four layers deep throughout the weekend.�[Full Article] Jul 17. Through the years I've designed numerous model railroads for myself. I've even built a few. Well, almost built them. For one reason or another I lost interest before completing them. This time was different. After completing the sketches and even laying out the principal sections in full size on quad paper, I decided to try building it in Trainz, just to see if I would like it. [Full Article] Apr 29. 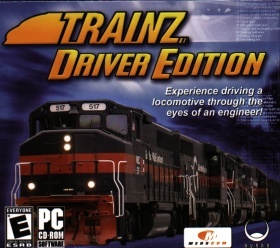 When Chris Sawyer released his Locomotion in 2004, a full ten years after its popular predecessor, Transport Tycoon, fans of the old were disappointed. They had hoped for something more than what is largely a graphic update to the old favorite. Many hoped for a cure for the old ills and perhaps some great new features. [Full Article] Apr 22. 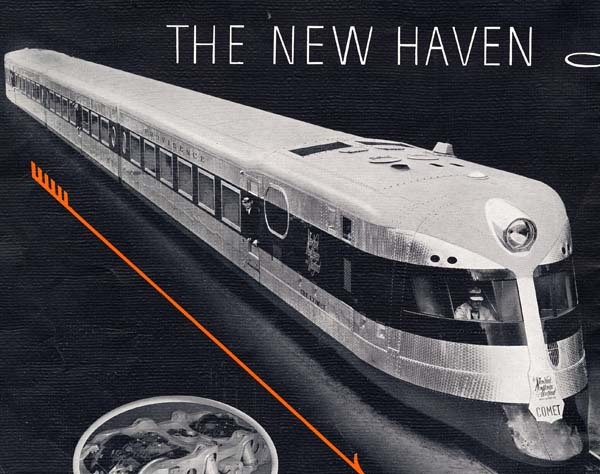 The first thing about Transport Giant that caught my attention was the graphics. For a strategy-type game along the lines of Railroad Tycoon, Transport Tycoon, and Locomotion, these graphics are superb. What�s also nice is that you can zoom in closer than you can with other games. 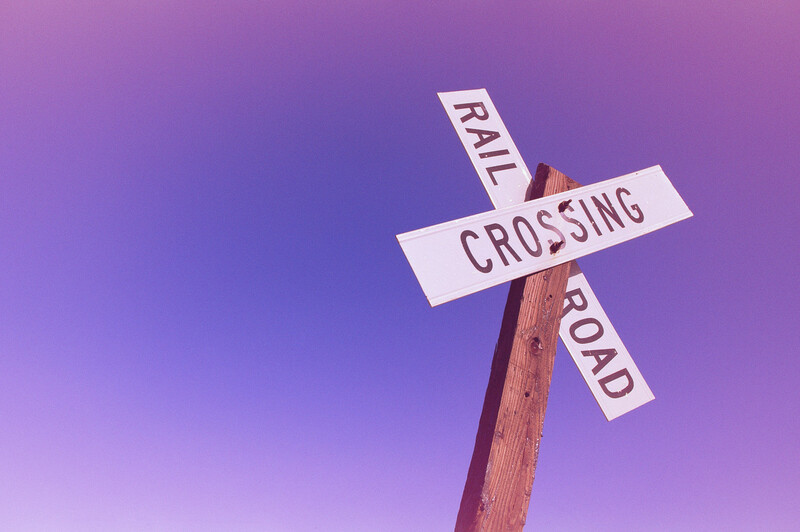 What you can�t do � and it�s unfortunate � is follow a train in the main window or in a separate window. [Full Article] Apr 14. 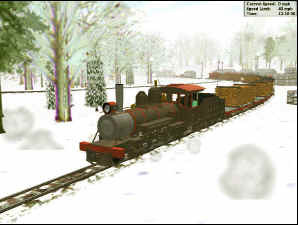 Less than six months after Microsoft released its Train Simulator (MSTS) in June 2001, Auran, released Trainz in time for the Christmas rush. There was much anticipation, as Auran had been issuing press releases on a regular basis, touting the ease of building routes in its new simulator, and displaying the results of its accompanying utility, Paint Shed, which let just about anybody reskin a model in their favorite livery. [Full Article] Mar 06. 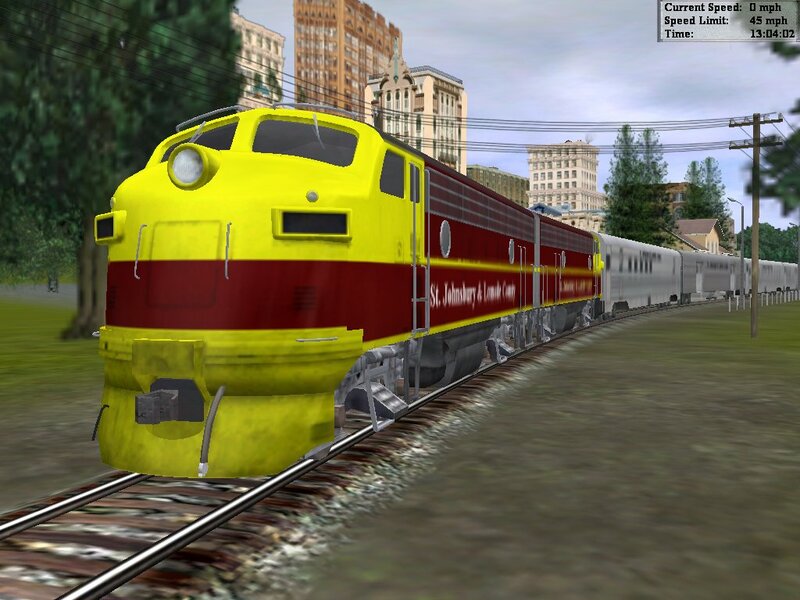 When Microsoft released its much anticipated Train Simulator in the spring of 2001, they opened the door to a new era of train simulation. 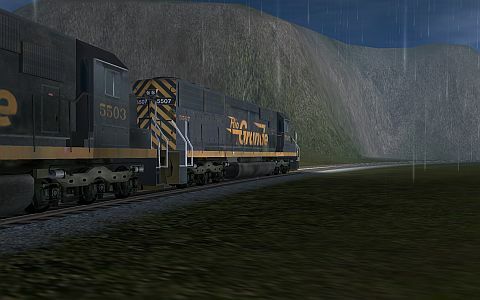 MSTS, as it's called, set new standards as a can-do-everything simulator, including full 3D environment, train control from inside and outside the cab, the ability to throw track switches, shunt cars, and much more. [Full Article] Mar 06. "Next stop, Times Square. Please stand back of the closing doors." These are familiar words to New York City subway riders. 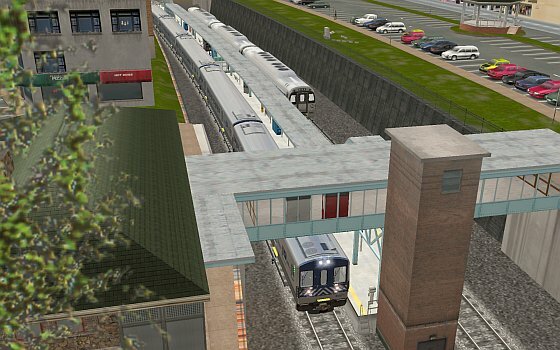 They're also part of the first train sim, the Flushing Line for BVE 2, to really catch my imagination. [Full Article] Mar 06. 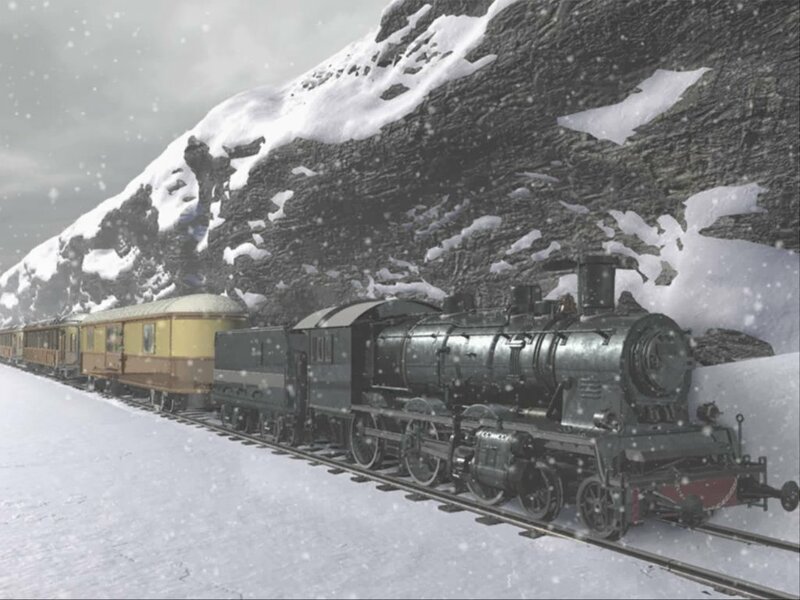 It would be great if, once we decided to try a particular train simulator, it would magically appear on our desktop and let us be off and running. Unfortunately, there's some up-front efforts we need to make to ensure things go smoothly. [Full Article] Feb 06. �2006 Alfred Barten, All rights reserved. VScaler is a trademark of Alfred Barten. Who needs a video? We have the REAL thing! 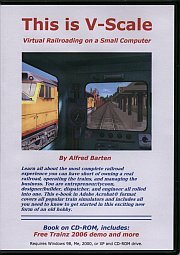 Is there a place for Virtual Railroading? �2007 Stuck Junction Publishing Co.